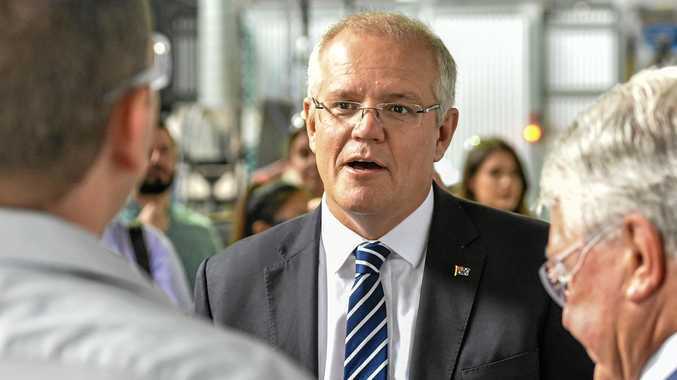 PRIME Minister Scott Morrison brought his 'ScoMo' bus to Gladstone yesterday where he met with Federal member for Flynn Ken O'Dowd. 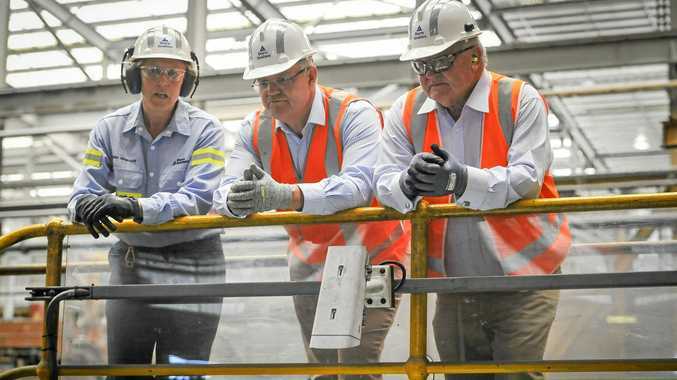 Mr O'Dowd and Prime Minister Morrison went on a tour of the Boyne Island smelter, introducing him to the locals and workers of the plant. "The reason I wanted to come here today is I wanted to see it first-hand because the Labor Party wants to push up the emissions reductions target to 45 per cent. A 45 per cent reduction. That'll shut this shop down. That's a thousand jobs.,” Prime Minister Morrison said. "That will be the cost of what Labor wants to do when it comes to their plans for a 45 per cent emissions reductions target. "We've got our target at 26 per cent, we made it some years ago and we're sticking to it and we're delivering on it,” he said. Mr O'Dowd said he had been fighting for Flynn for almost 10 years now and has delivered over $5 billion for Flynn. "We have achieved so much together and I have been pushing and will continue to push these issues,” he said. Mr O'Dowd said he was here to deliver for the long term and will continue to do so. "Flynn deserves more doctors and specialists, local jobs for local residents and more home aged care packages. "I also believe in lowering the cost of living so families have more money in their pockets,” he said. "More money means more time spent with families, time well spent at the movies or having a family barbecue together,” he said. Mr O'Dowd said making sure Flynn residents felt secure in their jobs and lowering the cost of energy and living was his aim. "I also believe in preparing for the future by building better road infrastructure, especially for heavy vehicle access to the port of Gladstone and improving roads and bridges for B double access. "Furthermore water proofing Flynn, more works are needed in this space to secure a more productive agricultural stream,” he said.